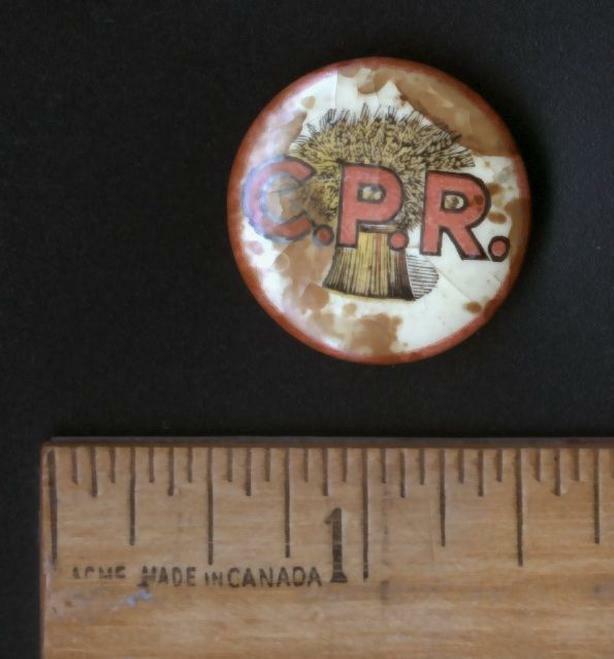 Small Canadian Pacific Railway button, 1950's. Has grain sheaf on it. Some surface discolouration. Pick up or mail out only; buyer pays shipping. Cash preferred.